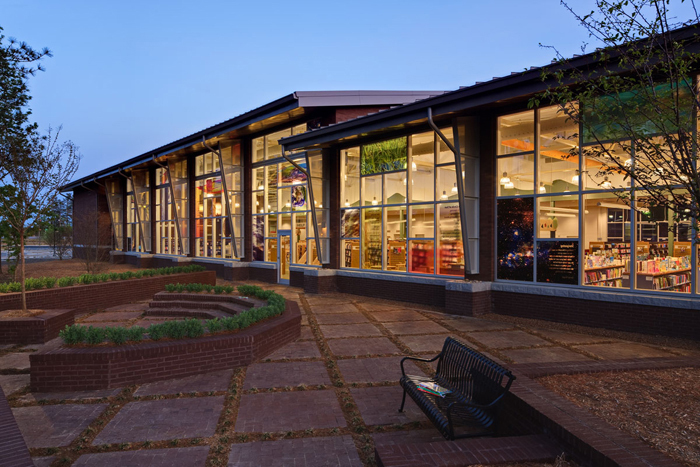 Description: Poiesis is part of the architectural fabric of the LEED Gold certified Hamilton Mill Library. The work occupies sixty-seven of the double paned window units throughout the library. Several themes are woven together through a subtle play of color, image and text. These include examples of ancient and contemporary language text as they describe our knowledge of the earth/sun relationship. The layering of poetic text throughout the work reflects and adds nuance to these themes.